It started with pecan pie. Actually, it started a few steps pre-pie. Growing up in Columbia, South Carolina, the yard of Tobi Merschat’s family home was thick with pecan trees, and in the fall, the whole family would gather pecans, shell them and then bake their shared labor into pie. From hard work emerged delicious reward – a model of sustainability. 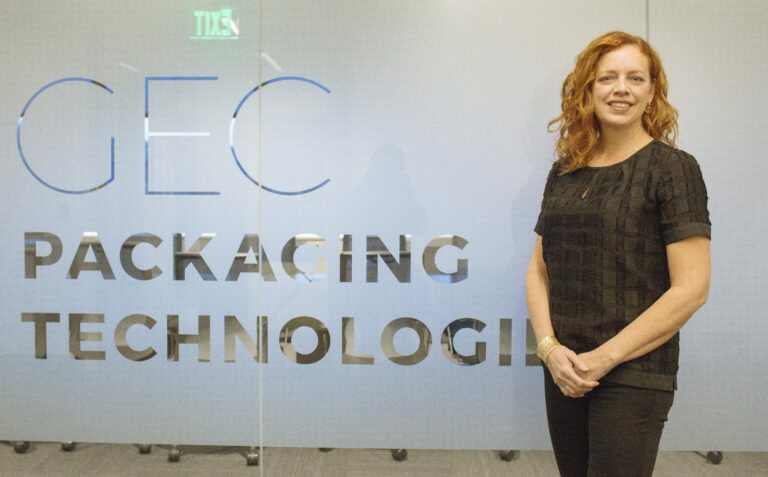 Now executive vice president, human resources for GEC Packaging Technologies, Merschat’s work is still all about working with a team – and still centered around sustainability. Most of us think about natural resources when we think of sustainability. And certainly natural resources matter to GEC Packaging, which consists of the integrated businesses of Graham Packaging (plastic packaging), Evergreen Packaging (paper and paperboard products) and Closure Systems International (plastic and aluminum closure design). But to Merschat, sustainability is about human resources too. Merschat was recruited to join Evergreen Packaging as the HR director to assist in building the fledgling HR department when the company was a brand-new spinoff from International Paper. Her own career had previously been with IP, her career journey in tandem with a geographical one – from Columbia, South Carolina, to Vicksburg, Mississippi, to Georgetown, South Carolina, and then to Savannah, Georgia. Merschat, her sculptor husband, and their daughter, now in college at UT-Chattanooga, relocated once more: to Memphis. So what was new about the culture and environment that Merschat crafted? Just think of a family harvesting pecans and making them into pie: Everyone shares in the process, and everyone shares in the results. GEC Packaging Technologies now comprises some 12,000 team members in 127 facilities across 35 countries. But individual impact is still prized – and Merschat approaches human resources as a way of valuing and nourishing individuals. She remembers how rewarding it was to present Memphis’ attributes to those unfamiliar with the city, to help them transition into the city, and finally to hear that the new-to-town employees are finding footholds and falling in love with the community. “You take a human resources process – helping people to transition and relocate with the move of an office – and turn it into a life-changing event for them,” says Merschat. Tobi Merschat is a graduate of the New Memphis Leadership Development Intensive.